Every year there are hundreds of Porsche related events all over the world. 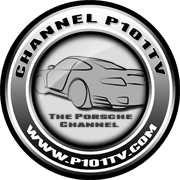 The Channel P101tv Porsche Events Calendar will try and list as many of those events so you don't miss anything important, and give you opportunity to attend some of the events yourselves. To find out what's happening, where and when, simply choose a date from the menu to the left or below. With so many events being organised we need your help to keep the Events Calendar up to date. So we ask you to tell us about any events you know are coming up. Simply send us the details by using our Porsche Calendar Events Form, and we'll post it up for all to see. Select a calendar month from the list below or from menu to the left to view up and coming Porsche events. There are thousands of Porsche events held throughout the year all over the world. We'd like to list the major events right here in our Events Calandar, so please send us details of Porsche events so we can publish them here for our members. Use the Porsche Calendar Events Form. We hope you enjoy the Porsche Events Calendar area of the Porsche Folio!